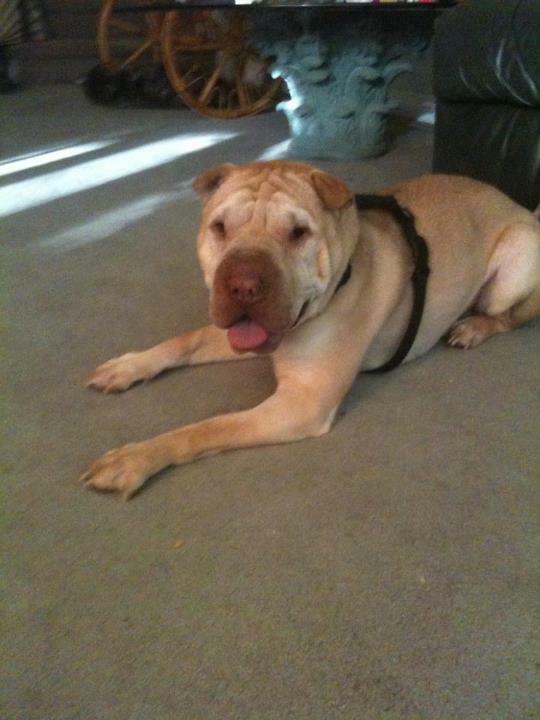 Toronto Dogs Directory: Henry Was A Sharpei Who Died At Toronto Animal Services In August. The Question Is How? Henry Was A Sharpei Who Died At Toronto Animal Services In August. The Question Is How? Recently I have seen postings regarding the sudden death of a Sharpei named Henry who was housed at Toronto Animal Services North back in August. From what I gather Henry was turned over to TAS after biting one of his owners. From here there appear to be frightening circumstances that led to Henry's tragic (and I do not use the term lightly) death. Rita M was trying to rescue a Shar Pei named Henry who was surrendered by his owner to Toronto Animal Services. She did not share much info about Henry except that he bit the husband. I do not know Rita but went to Animal Services when I saw an online plea. The shelter told me that there is A LOT more to Henry's story that I was not told about. He has bitten everyone that came in contact with him and is not doing well so PTS is the best things especially since the owners have not been very honest about Henry's past. Anyway, this is my statement of what Elaine and Sienna told me right after they dropped Rita off. 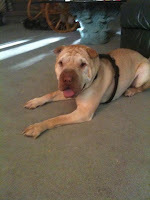 Yesterday Rita, from 'Scoobys Doghouse' rescue contacted me via pm about a Sharpei named 'Henry'. She said he was in the OSPCA in Toronto and he had until 10am to be rescued or he would be PTS due to aggression. I asked if there was a court order, she said no that he only had to be muzzled. I contacted two friends who live in the Toronto area, and within hours it was arranged to pick up Henry and Elaine was going to foster him until a suitable sanctuary or rescue could be found to place him. Rita met up with Sienna in a mutual place, Rita said she can't to the SPCA because she wasn't supposed to be driving. Sienna rushed to meet up to drive her. Sienna and Rita met up with Elaine who was already waiting for them. At this point Elaine had spoken to the SPCA and found out that there was no rush on Henry, he had until Tuesday! A worker also said he had taken Henry out for awhile and he was really good. According to the SPCA rules, Rita was the only one allowed in to retrieve Henry and the girls were going to be waiting for them in the waiting room. Rita had only brought a glove and a thin leash. They questioned her about that, having had aggressive issues they wondered if the leash would be sufficient. Rita said she would just use the glove and grab him and bring him out to them. She opened the door where they saw Henry very calm in the cage with an inquisitive look. Awhile later, Rita opened the door and to Elaine and Sienna's horror they saw Henry dead on the floor with urine and feces around him and blood all over Rita's arm. She had used the leash around his neck and tied it high on the bars of the kennel and he strangled to death. They asked where the blood came from, it was Henry's not hers. She said he had bad teeth and that must have been where it came from. Elaine and Sienna were in a state of shock and very shaken, they said Rita's disposition was baffling as if it didn't even phase her. They quickly drove her back to her car and returned back to the SPCA to see if anything could be done, and they told them that Henry 'belonged' to Rita. His owner surrendered him to her. From what I now gather this case in in the hands of the OSPCA and Rita Mueller has been charged with animal cruelty (she has since found guilty of animal cruelty for another case and is awaiting sentencing in Febuary). "I can confirm that on August 24th the North Shelter had a Shar Pei named Henry in our custody. Unfortunately Henry died under unusual circumstances. I notified the OSPCA to report the incident and request an investigation. The OSPCA is conducting their investigation into all the circumstances surrounding the incident and Henry's death and I am confident they will address the complaint appropriately. I want to assure you that Toronto Animal Services takes these matters very seriously and we have conducted a parallel review of this incident. We have written new policies and procedures around the presence of Animal Service staff during the transfer of care to ensure further incidents involving the transfer of animals is minimized. Thank you for your inquiry and I trust you understand that, until the OSPCA investigation is heard in court, we are not able to comment on the specifics." First I'd like to thank TAS for the response and being as transparent as they can under the law. I have a feeling that perhaps a volunteer or employee may have gone against protocol in allowing Ms. Mueller into Henry's room unsupervised. Unfortunately this decision resulted in a tragic result, though it appears TAS is doing what it can to prevent such an instance in the future. Must they share some blame? Of course, but at least they are being proactive. I see little need to address Rita Mueller or her actions. We all feel the same way. What needs to be addressed is the LACK OF ACTION taken by the government. Rita Mueller should not have been allowed any contact with Henry. Animal "rescuers" with prior convictions or current charges can no longer be allowed to profit off of the backs of the very animals they hurt. 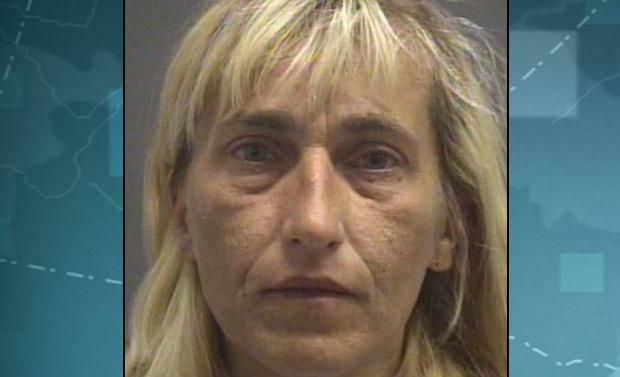 ***Update : The provincial court in Caledon has confirmed the Rita Mueller of "Scooby's Doghouse" rescue has been convicted on two counts of causing distress to animals. These charges date back to 2011, and Ms. Mueller will be sentenced in February 2013. Apparently Ms. Mueller had 29 dogs in her "care" at the time the charges were laid. With regard to the charges focusing on Henry the Sharpei, I have no doubt Ms. Mueller will have to appear again before court in the near future. Update January 3 : There is now an arrest warrant issued for Rita Mueller. If you have any information call Crime Stoppers or your local precinct. It saddens me that a warrant has been issued SIX MONTHS after the alleged murder, but for now that is neither here nor there. Let's bring this animal killer in! January 4 : This morning Rita Mueller surrendered to police at 32 Division. My latest article with regard to Ms. Mueller's past actions will be on the blog later toay.